One of the greatest things about Halloween are the traditions. One of the most common traditions are pumpkins. There are so many different facts regarding the pumpkin. Pumpkins have been growing in North America for at least 5000 years. Pumpkins are used for many different things that can improve both your Halloween, but also your whole fall time. 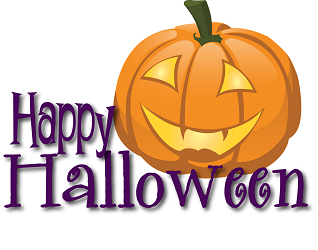 Tradition states that pumpkins are carved into jack-o-lanterns. This is done through taking a knife and carving a design on the pumpkin. You can find many templates online. However, not all of them have to be scary faces, some of them can be neat designs. For example, on the Disney website there are pumpkin carving ideas. These range from basic faces to special one, like Olaf, or Doc McStuffins. There are a lot of other ways that you can decorate your pumpkins other than cutting them open. There are many things can be used to decorate a pumpkin. Fishnet stockings can offer an appealing design on your pumpkin.Bedazzling, or Pom Poms can be a great additive to your pumpkins. 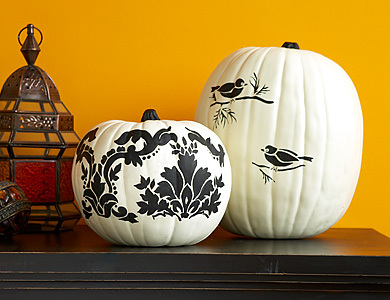 Painting your pumpkin is another way to help decorate in a new way. You can paint them in any color, even glitter, gold paint, and even stenciling on the gourd. This food is low in calories, fat, sodium, as well as high in fiber. The pumpkin is also a good source of several vitamins and minerals, such as potassium, protein, iron, as well as, Vitamin A and Vitamin B.
Pumpkin Drinks – This is a wonderful sweet and spicy cider that can be offered at most any occasion. This is one of the drinks that are perfect that are great through the whole fall and winter holidays. One idea of a pumpkin cider bowl can be found at the Pumpkin Nook. Roasted Pumpkin Soup – This is a food that is full of vitamins and minerals. This is a yummy soup that will warm you up on those colder days. It has a rich and robust mixture of mushrooms, garlic, and pumpkins. Creating a wonderful blend for your Roasted Pumpkin Soup. Grilled Pumpkin – Pumpkin isn’t only for drinks and deserts. Grilled pumpkin is a way to use pumpkin as a main course or side dish. Slicing pumpkin and adding some spices and dressing can make this pumpkin be great against any other grilled meats. However, it can also be used as a main course for those who prefer to not eat meats. Pumpkin Deserts – There are some very yummy things that you can do to make pumpkin deserts. Pumpkin and chocolate are a wonderful compliment to each other. Pumpkin Chocolate Chip Squares are moist and sweet. They have the perfect taste of pumpkin pie spice. There are so many wonderful flavors that these deserts can offer. Chocolate Chip Pumpkin Cake are very similar, however this is a slightly different. This desert is completed in two layers, one being the pumpkin and one the chocolate. This batter is shaped like cake balls, offering it a whole different taste. There are so many wonderful uses for the fall favorite food, pumpkins. If you decide you want extra pumpkin throughout the year, you are able to roast the pumpkin, puree the inside and then freeze it into individual packages.